Kelly Rowland celebrated the release of her new album “Here I Am” at the Moet Rose Lounge at the Standard Hotel in New York City. She wore a Cushnie Et Ochs Fall 2011 Dress with a pair of Alejandro Ingelmo woven metal platfrom sandals (approx. $760). 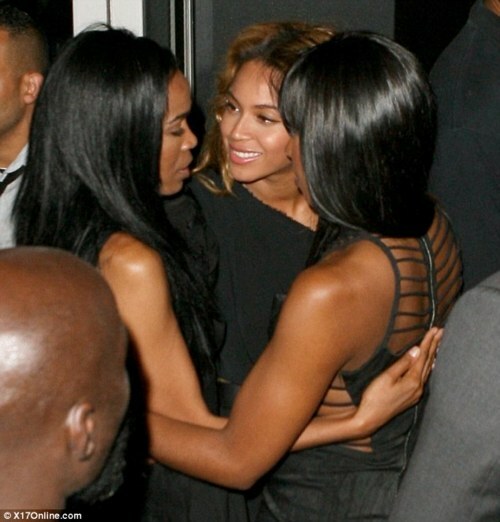 Kelly Rowland looked super hot and she reunited with her Destiny's child sisters Beyonce and Michelle. I wonder if they will ever do a reunion album? What do you guys think?